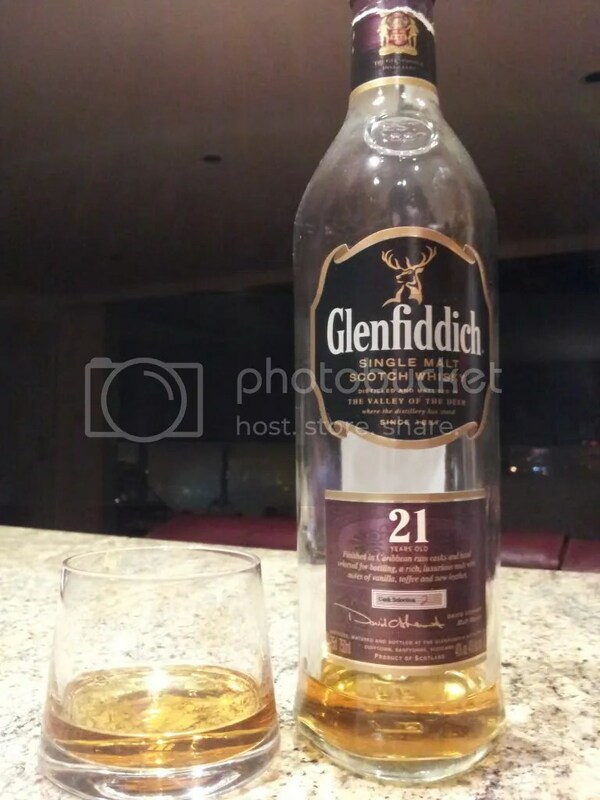 Glenfiddich 21YO (Scotland) | Justintoxicated. Another bottle that I barely have any left, might as well finish it off and write up some notes. Definitely more alcohol forward on the nose which I’m thinking is due to the influence of the rum cask. Hints of toffee and vanilla quaffed as well. Tingling anise hits the tip your tongue first, and then the vanillla and molasses from the Caribbean rum casks. 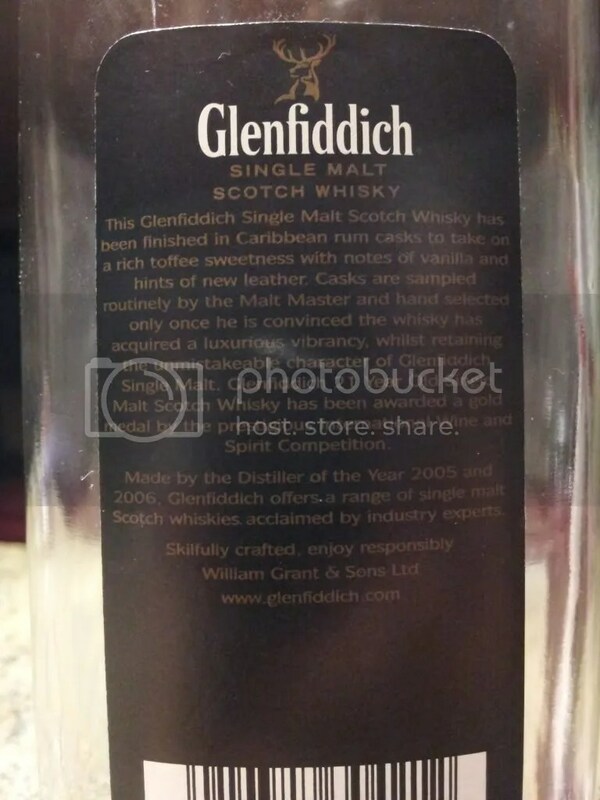 Notes of banana, chocolate, and only a med-mild warmth mainly in the nasal cavity for a finish. Lots of tingling and numbness in the mouth and throat. A rather muted oaky exhale. I prefer the fruitier sherry finished Macallan 18 year, but this is an interesting novel experience as well to highlight the difference between a rum cask and sherry cask finish.